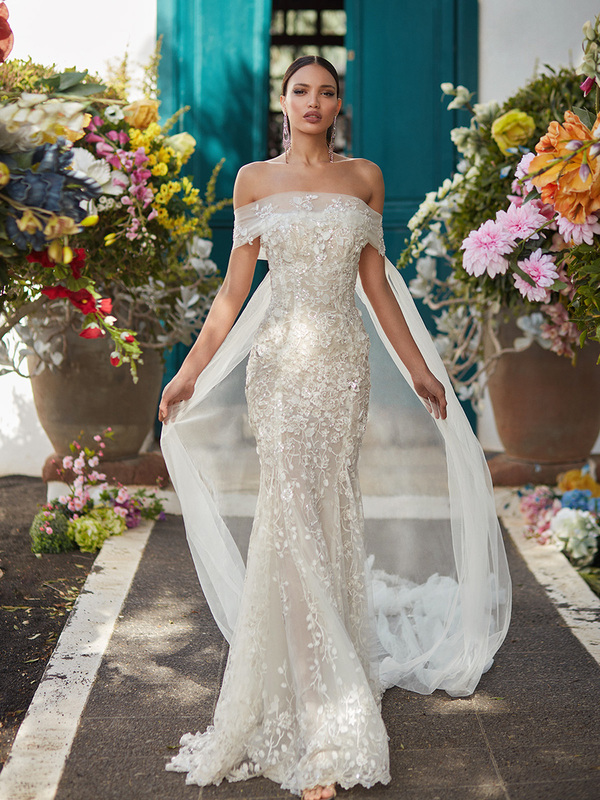 Inspired by a bride’s desire to express her individuality through a signature scent and wedding day style, Galia Lahav’s Fall 2018 Florence by Night Couture Bridal Collection saw new approaches to gossamer tulle, fine lace and intricate embroidery. Sparkly low V-neck A-line dress with a voluminous skirt and long sleeves. The dress is entirely embroidered with Swarovski crystals to create an all over stardust effect. Sheer strapless lace mermaid dress with a floral embroidery made from ivory and silver sequins. Dress is semi sheer with an underlay of French lace. Corseted ballerina ballgown made of soft silk tulle, a draped corset and a sheer voluminous skirt. Sheer hand beaded kimono dress with a high slit and a sheer tulle godet with a low asymmetrically draped back. Deep plunging V-neck halter top with silk tulle draping and a tiered ankle length tulle skirt in shades of blush and ivory, embroidered with ivory coral and feathers. 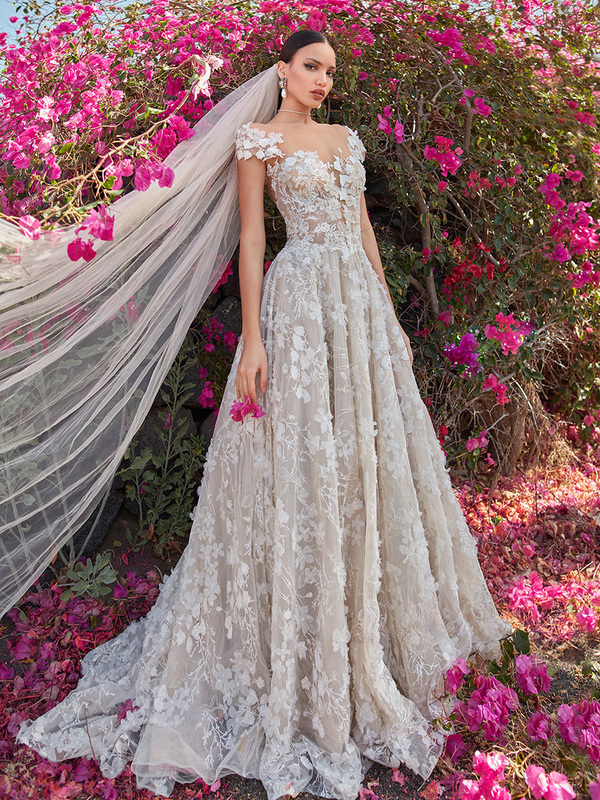 Embroidered tulle sheer ballgown with 3-D rose motif, sheer corset pleated skirt and a ruffle detail accentuating the shoulders. Dramatic column dress with a geometric cut-out bodysuit and accentuated shoulders made of a cherry blossom embroidered tulle with a floral motif. Sheer A-line dress made of 3-D embroidered tulle featuring an off-the-shoulder neckline and organza flower accents. The dress has a sheer top that is entirely embroidered with 3-D flowers. Pleated Swiss dot tulle, molded as a sheer corset and a wide 1950’s style ballgown skirt with a constructed waist cincher. The dress is semi sheer and has dramatic volume. Sheer mermaid dress made of embroidered tulle and vaporous filigree embroidery in an innovative combination of silver and ivory. 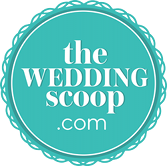 The dress has long sleeves and a voluminous mermaid silhouette, which flares with irregular godets that swirl around the bodice. Deep plunging V-neck embroidered lace top with an irregular tiered tulle skirt. 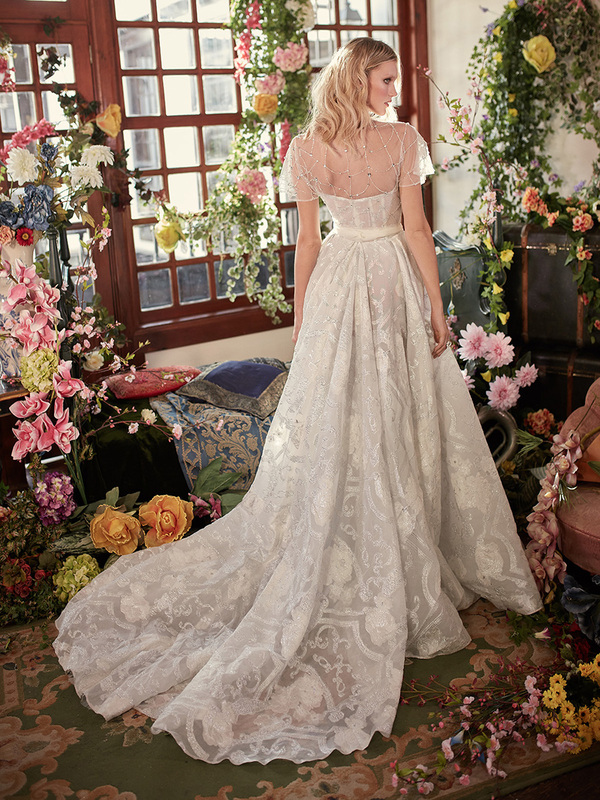 Each tier has a horsehair hem and the dress bodice is embellished with hand-embroidered flowers. Cloud grey high-low corseted dress with a sheer draped corset top and a hi-low handkerchief skirt, embellished with hand-embroidered flowers. Closed high neck mermaid dress made of an embroidered French lace with a rose motif and keyhole back cleavage. The dress is embellished with beads and crystals. 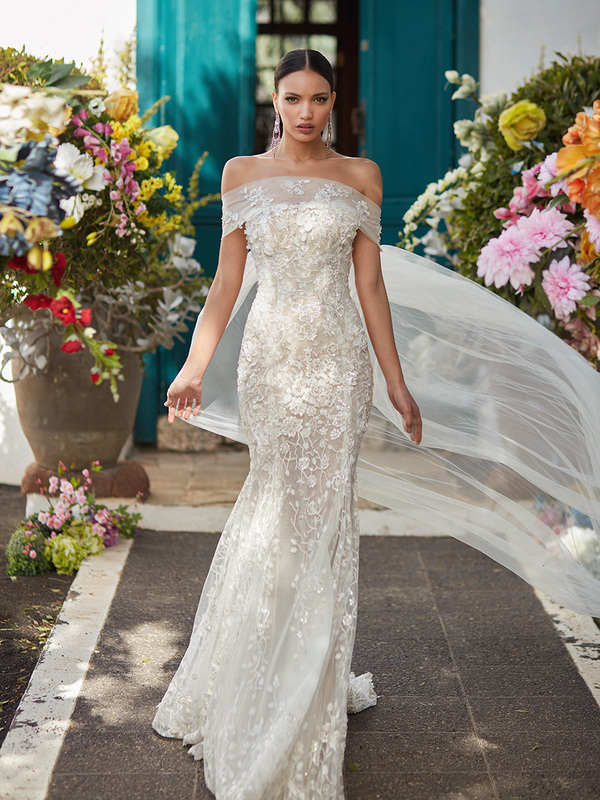 French lace mermaid fit and flare dramatic gown with a low illusion back embroidered with large-scale appliques and a two-toned handkerchief skirt, creating signature Galia Lahav style dress. 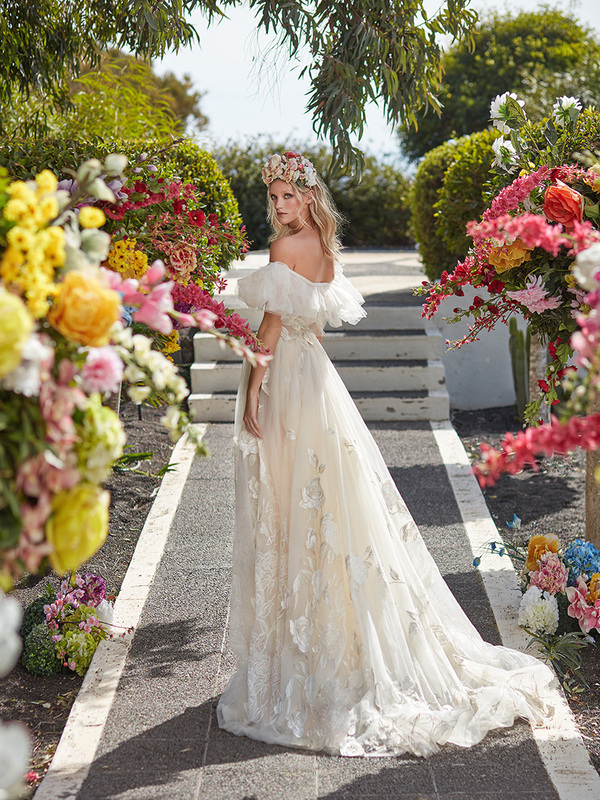 The back is accentuated with handmade silk flowers. Ivory and silver hand embroidered column dress with a deep plunging v-neckline. The dress has floral and fishnet embroidery and scattered silver fringes. Soft sheer A-line dress with a low back and a plunging sweetheart neckline. 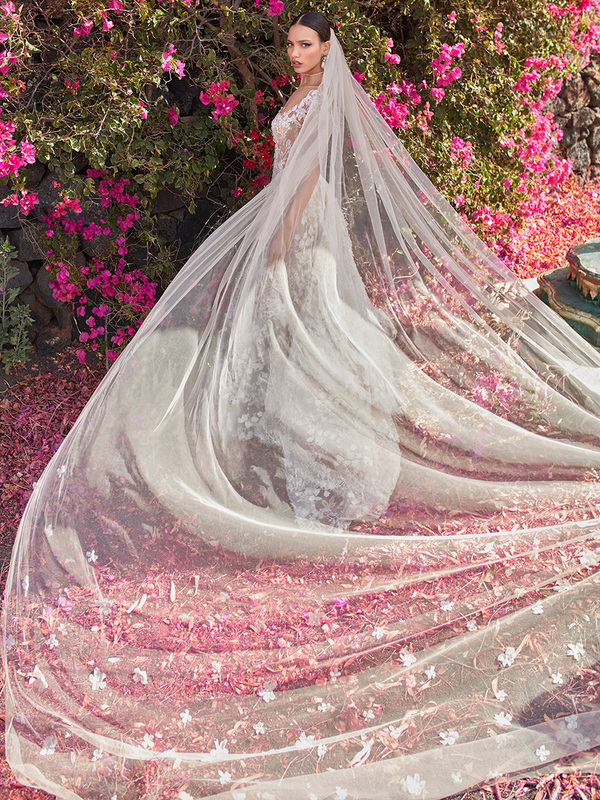 The dress is made of 3-D tulle that is embroidered with scattered leaf motifs and organza flowers. 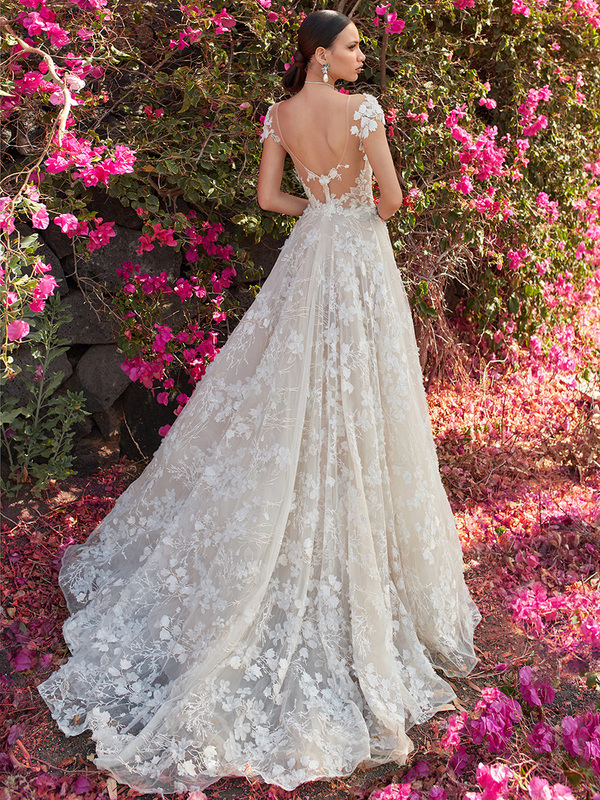 The neckline is adorned by sparkly hand embroidered flowers. “This season, the desire to imagine the intangible of the five senses, ‘envisioning the invisible’, challenged us to delve deeper into the world of scents and perfumery, rhythm and melody, to create the perfect fragrance and sound to life.